Bomber jackets are having a huge moment in fashion right now! Every celebrity you can imagine has been spotted sporting different styles and it is a trend that has taken the high street by storm. 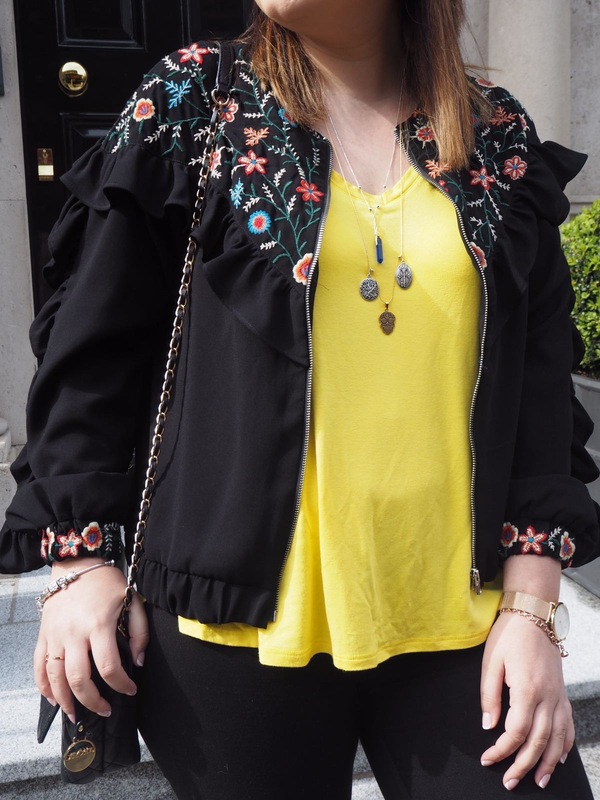 Just like the Military Jacket trend there are so many options on the market, from satin bombers to this gorgeous embroidered frill one from Zara, you will be spoiled for choice when you choose to invest in one for summer. While having an every day bomber jacket can be handy this can be a fun trend to play around with and add variety to your wardrobe. Picking up a statement bomber jacket or one that just has something a little different about it can take a plain outfit and turn it into something completely unique with minimal effort. 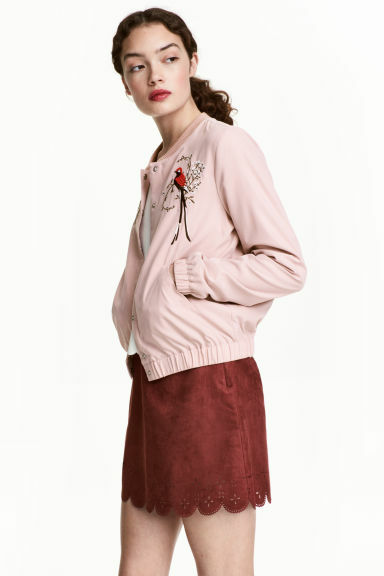 From embroidery to embellishments, frill and badges there is a jacket out there for everyone and we have gathered some the hottest styles for you to shop easily right here! 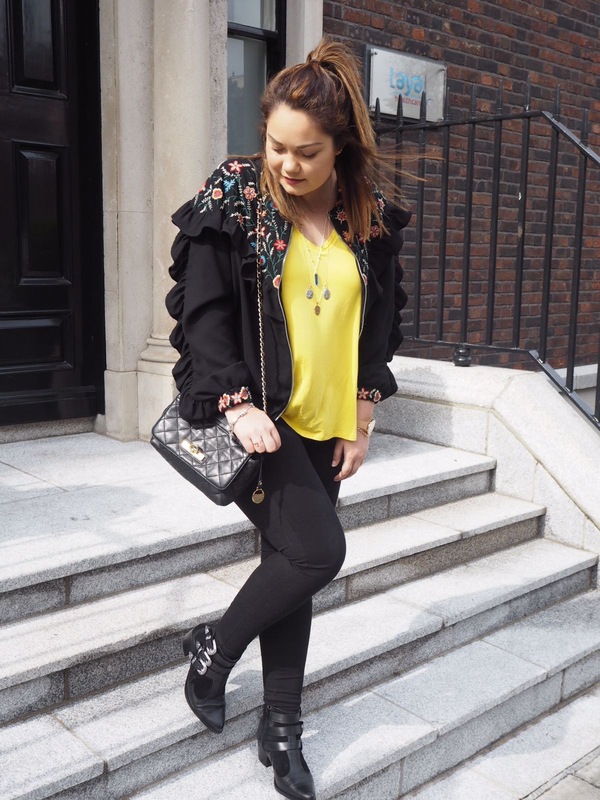 Frills have come to life this season more than any of us were expecting! This jacket from Stradivarius has just the right amount making your style different from everyone else and right on trend in a super subtle way. You could really play with colour with this jacket as it will go with everything and bring life and movement to any summer outfit. Shop this jacket here. How gorgeous is the colour of this H&M bomber jacket? It is ideal for summer to wear with white jeans or simple skirts. The embroidery detail on both sides will balance out your look and is just enough to bring the jacket to life. Shop the jacket here. If you want to make a statement we all know that leopard print is one way of doing it! There's something about this satin jacket from Boohoo.com that looks great with leather trousers, once you keep the rest of your outfit simple this should be a winner that you can wear again and again. Shop it here. 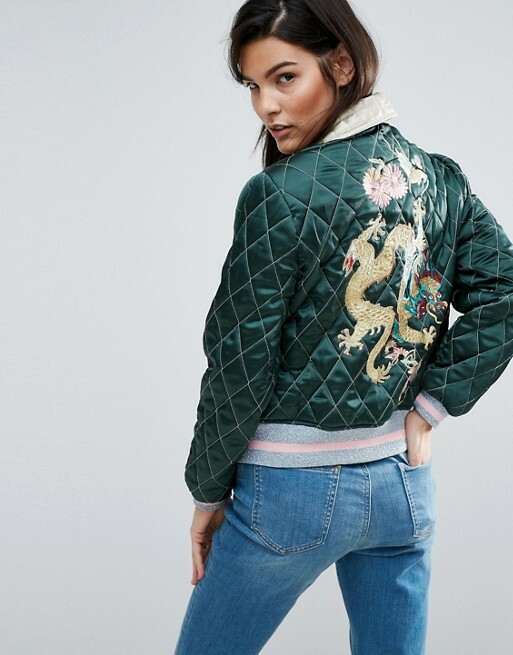 How different is this quilted bomber jacket with dragon embroidery to everything else you have seen on the high street? This unique little jacket could be that one piece your wardrobe is waiting for this summer. Shop it on ASOS here. If patterns are your thing, check out this Adidas jacket from Topshop, perfect for any sports luxe ladies who love mixing comfort with femininity and style. This jacket would look super girly over your favourite jeans and plain white tee for casual days! Shop it here. Last little beauty from River Island is stunning and it's on sale, so even better. It is the perfect piece to dress up a plain outfit. This would be perfect to throw on and head out for dinner with the gals. Shop it here. 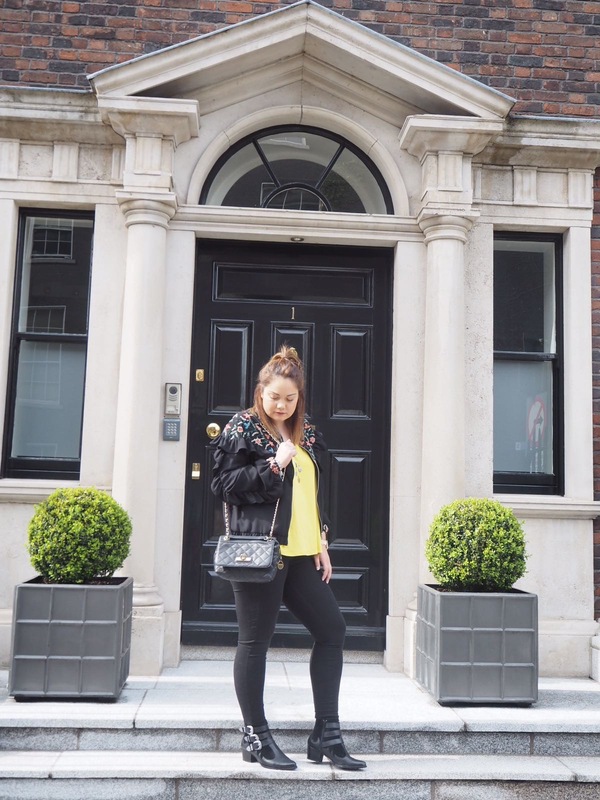 From dragon embroidery to leopard print all of these jackets bring something a little different to the staple bomber that has flooded the high street lately! Dare to be different and find a style that suits you and shows who you are and your personality through your fashion.